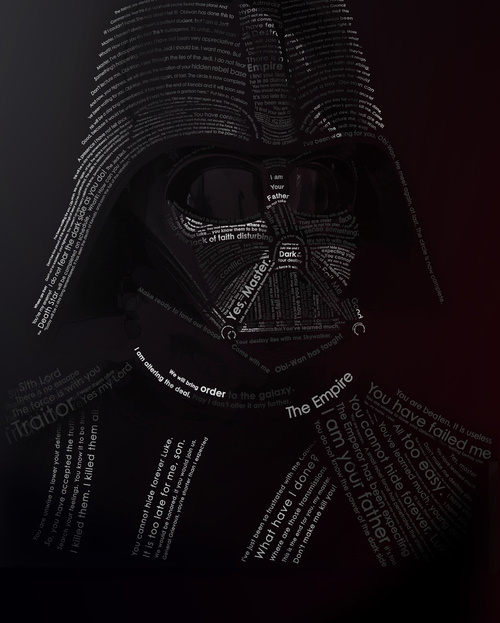 Evan Travelstead has created his own version of Darth Vader using typography and Vader quotes. 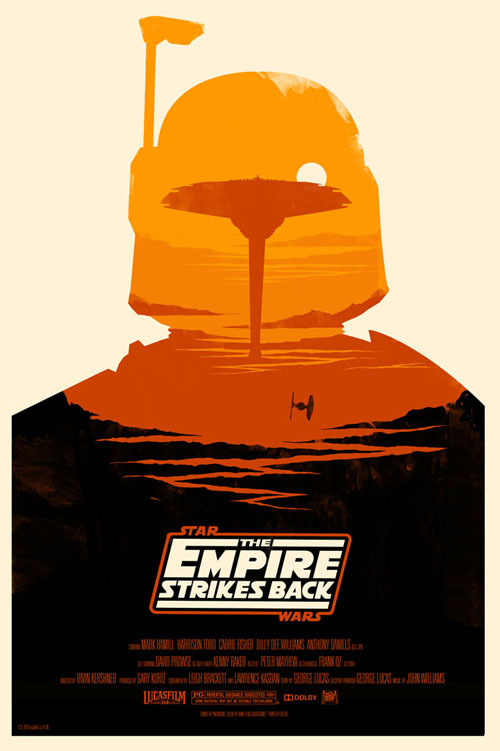 British poster artist Olly Moss has created a trio of reimagined posters for the Star Wars trilogy for collectible art house Mondo. 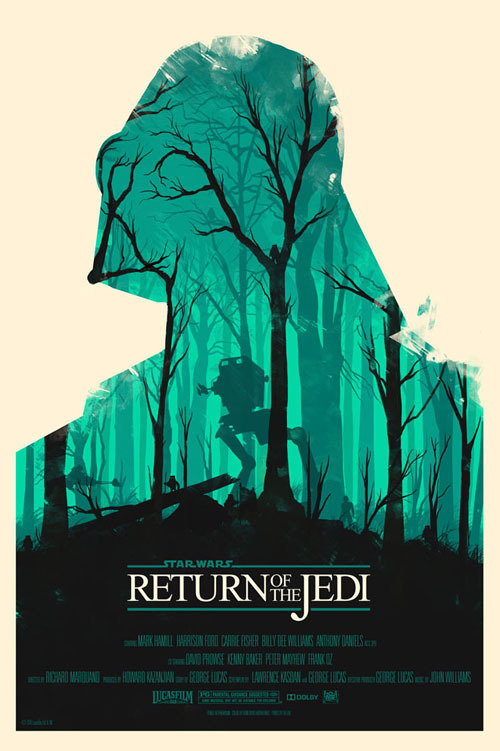 The new posters show colorful silhouettes of C-3PO, Darth Vader and Boba Fett that are filled in with detailed imagery from Star Wars, The Empire Strikes Back and Return of the Jedi. They sold at a random time on Monday and were sold out in 3 minutes. Read the article about this project on WIRED. You’ve never heard of the Millennium Falcon? It’s the ship that made the Kessel run in less than 12 parsecs. And the AR Millennium Falcon Gunner for iPhone is up in the iTunes Store for $4.99. Don’t get cocky, kid. The Star Wars Arcade: Falcon Gunner is an AR mobile game that puts you into the gun turret of the Millennium Falcon and allows you to blast TIE Fighters around your city. Developed by Vertigore Games and published by THQ Wireless and will be available for iPhone 4, iPhone 3GS and iPod Touch 4th Gen later this month. Read the full article on Gizmodo. 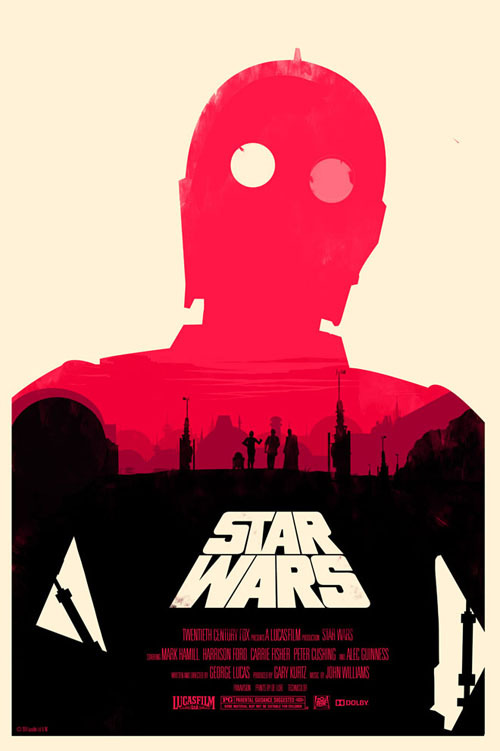 Laser Bread (Brock Davis) is an artist for Wired, the New York Times, and other outlets. 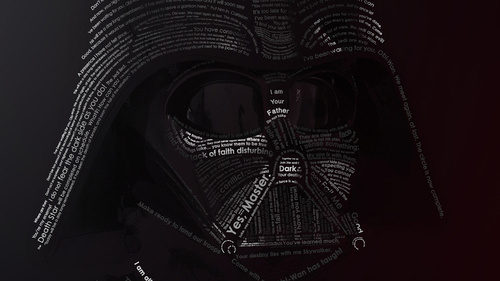 He brings us a detailed invoice between Boba Fett and Jabba the Hutt. 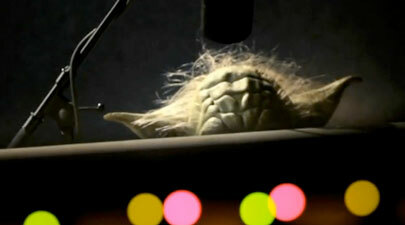 Here’s latest spot for TomTom GPS Star Wars Voices. No roundabound in this one, but its still good.